Geomorphology is one of the core areas of expertise within C&R, with over 50 years combined experience in understanding the interplay between past and present climate, geological forces, and the hydrology of various landscape features throughout a range of tropical environments. Our knowledge of these processes underpins our investigations of the relationships between rainfall, runoff, vegetation, river morphology and flood frequency. Read about the types of geomorphological solutions we provide for our clients below, or contact Cecily Rasmussen, our director and principal geomorphologist, for a professional quote. In response to community concern over the retreat of the Midge Point foredune over the last twenty years, Mackay Regional Council commissioned C&R to develop a Shoreline Erosion Management Plan (SEMP). 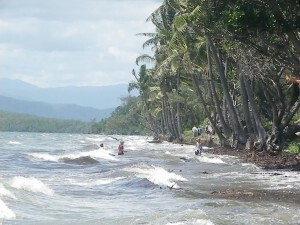 We analysed several extreme events between 2008 and 2011, including the direct crossover of Cyclone Ului in 2010, and found that the coastal change at Midge Point was entirely natural, with minimal impacts from anthropogenic sources. We also identified southward longshore drift at Midge Point as the source of sediments being washed into the mouth of Dempster Creek. The mitigation measures we recommended to our client focused on the main cause of erosion and shoreline change: extreme events (i.e. king tides and storm surges). 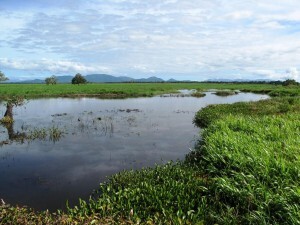 C&R provided detailed ecological and geomorphological investigations of the Gulf and Mitchell Catchments for formulation of Water Resource Plans, with consideration of a variety of unique ecosystems of National and International significance. 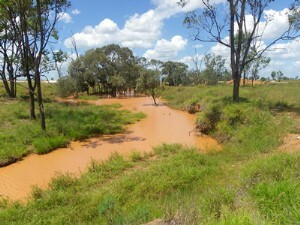 Our specialised team assessed the geomorphological condition of the river systems, and their relationship with the unique waters of the Gulf of Carpentaria and the sensitive sub-artesian and artesian basins. We described in detail the key flow characteristics and their role within the ecosystems of the different catchments, identifying and characterising groundwater dependent ecosystems. To support our clients’ needs, we also consulted with the community and relevant stakeholders, identifying issues associated with the sustainable management of water resources and relevant to the Water Resource Plans. C&R design and maintain a Rehabilitation & Subsidence Management Plan for the Carborough Downs Coal Mine in response to land subsidence above longwall panels and related impacts on stream morphology. We use historic and current geomorphic characterisation of drainage lines above longwall panels to inform our impact assessment of subsidence. We also inspect stream diversions around the Coal Handing and Preparation Plant (CHPP) for general geomorphic health and functionality as part of this plan. We then provide our client with recommended mitigation measures minimise the impacts of subsidence, such as: increasing the amount of riparian vegetation in strategic areas, installing timber pile fields, and building rock-check dams. 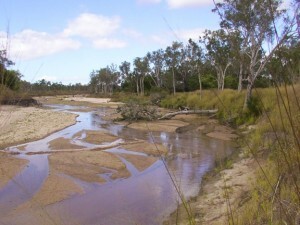 The Terrain NRM group commissioned C&R Consulting to evaluate the causes of wetland degradation at Cattle Creek Wetlands and to provide a recommended strategy for remediation. We identified several geomorphological issues responsible for changes to the wetland. 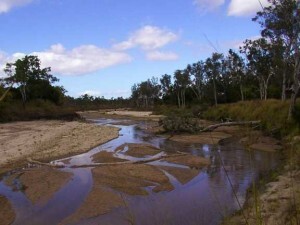 For example, the difference in the creek bed levels at the confluence of Cattle Creek and Frances Creek inhibit drainage from the Cattle Creek wetlands, increasing the duration of inundation and favouring weed colonisation. Additionally, we found the Bruce Highway Bridge prevents downstream movement of adult weed species, and the thickness of weed mats during flow events is sufficient to act as a dam against the bridge. Through our detailed investigation of the degradation, our client obtained a better understanding of the wetlands processes, and we formulated a river restoration plan focused on the important issues. C&R provided Thuringowa City Council with a comprehensive geomorphological assessment of the Black River to support a Disaster Risk Management Study. Our investigation examined: the geomorphology of the catchment, the historical patterns of river flow in relation to recent events, and erosion distribution and flow channel variability. We also assessed the areas at risk from further erosion through a complimentary river stabilisation study. The Council benefited greatly from our recommended mitigation options, designed to minimise the social, physical and economic effects of future flood events.